Any amount…you can put the amount toward payment of a Pass, some of our yoga gear or even toward an event. 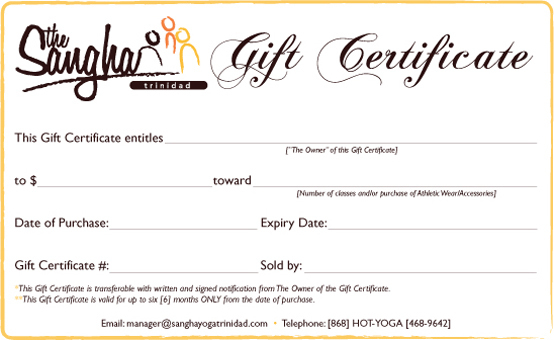 It could be the full amount or part…it doesn’t matter and the recipient has 6 months to redeem the certificate. Give a gift that lasts, everyone! Make gift giving more meaningful.